February 2019 - Patent my French! Design rights. 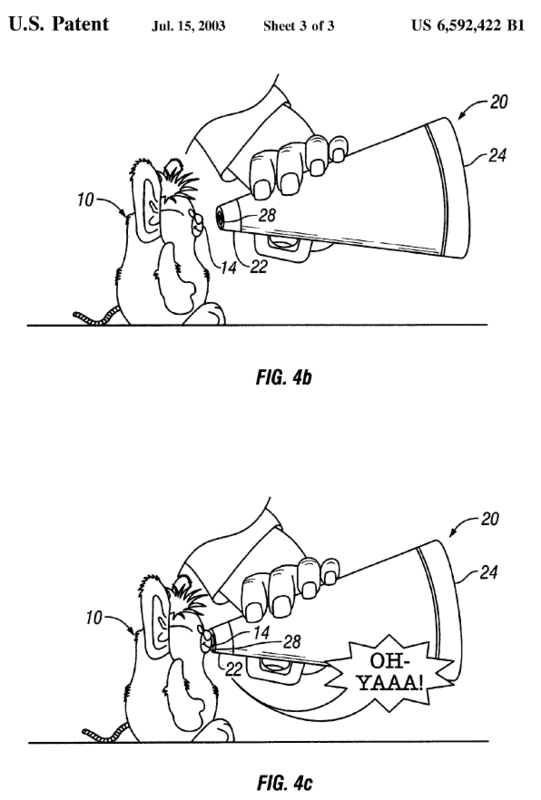 A mysterious territory for patent folks like me. There is this irrational fear that I would completely lose my bearings without any technical feature and interminable claim verbiage to hang on to. So coming across a design right judgment is always intimidating. And actually contemplating commenting on it on this blog even more so. But today’s ruling is a special case. Indeed, the focus is not on design rights per se but rather on a transversal aspect of IP law which is equally of interest to patent practitioners. Israeli company Keter Plastic was the owner of community designs. In August 2012, it filed a complaint for infringement of these designs in front of the Paris tribunal de grande instance (TGI) against Italian company Shaf, specialized in garden furniture. In June 2013, the Paris TGI dismissed the infringement complaint. This was confirmed on appeal in January 2015. In parallel, another litigation started in February 2013, this time initiated by the initial defendant Shaf. Shaf sued Plicosa France, which is Keter Plastic’s distributor in France, for disparagement. The complaint was initially filed in front of the Bobigny Tribunal de commerce, but the case was later transferred to the Paris TGI as it was related to the initial infringement case. In October 2014, the Paris TGI ruled in favor of Shaf and issued a severe damages award of 950,000 euros. The Paris Cour d’appel overturned this verdict in January 2017 and canceled the damages award. Shaf filed an appeal on points of law in front of the Cour de cassation, which leads us to the present ruling of January 9, 2019. Interestingly, the Cour de cassation vacated the appeal 2017 judgment and remitted the case back to the Paris Cour d’appel. That was for the history of the case. Let’s now move on to the facts underlying the disparagement case. The issue at stake is that, in August 2012, just after the infringement proceedings against Shaf were initiated by Keter Plastic, its French distributor Plicosa France communicated with a number of Shaf’s distributors (such as Leroy Merlin) to let them know about the infringement proceedings. Some of them stopped working with Shaf. In the 2017 appeal judgment, the court analyzed in detail the evidence at hand, namely a number of messages received by Shaf from its distributors, in which they expressed concerns regarding infringement exposure. The court held that some of the messages were not specific enough to conclude that they had learned about the alleged infringement from Plicosa itself. We were informed on August 29 by Plicosa that Keter initiated legal proceedings against your company due to “copying their design and patent rights”. […] Since the action is still pending and since we received information on a risk of infringement, we are sorry that we will now not be in a position to list the Diva product […] in 2013. Our forecasts of orders to be validated concerning 15,000 sets are thus void. Our decision is solely motivated by Keter’s action. However, the court decided that there was no demonstration that Plicosa’s communication lacked objectivity, was excessive or disparaging. Therefore, the existence of acts of unfair competition was not demonstrated. But the appeal judges erred in reaching this conclusion, according to the Cour de cassation. […] Since Plicosa disclosed an infringement action which had not led to any judgment to customers, without any sufficient factual basis because they only relied on the sole complaint filed by the rights holder, this disclosure represented blameworthy disparagement […]. As a result, Plicosa France is liable. The Cour d’appel will now have to determine whether Shaf suffered from any harm as a result of Plicosa’s acts. I think the answer is very likely to be positive, in view for instance of Leroy Merlin’s message quoted above. Then the main issue will be the assessment of damages. It remains to be seen whether the amount awarded in first instance (950,000 euros) will be equaled – or even exceeded. Always tempting to speak up your mind, but sometimes you really shouldn’t. This Shaf v. Plicosa France ruling is probably applicable by analogy to patent cases. In other terms, disclosing the existence of an infringement action to customers (or potential customers) of the alleged infringer before any court decision is issued is probably an act of unfair competition regardless of the possible objectivity and neutrality of said disclosure. This is significant in the context of patent law because infringers that are not manufacturers or importers of the infringing goods are generally not liable for infringement until they are made aware of the infringement, usually by way of a warning letter. Much caution should be exercised when drafting a warning letter and when deciding to whom it should be sent, as this prerogative can sometimes turn into an act of unfair competition. See this previous post by way of example. Among the precautions to be taken, it is certainly wise not to refer to a pending lawsuit before a (final?) decision is issued. So, you may draw the attention of the third party to a certain patent right, but you may not state that this patent right was asserted against someone. Now let me share a personal impression. In the case at hand, the main reason why Plicosa’s communication was indeed wrongful is that the infringement case was finally dismissed by the court. Retrospectively, it would probably look much less wrongful if Keter Plastic’s action had been successful. So, on a purely practical standpoint, I wonder if it would be possible to consider that a party is liable for mentioning a pending lawsuit only if said lawsuit does not ultimately result in a finding of infringement. In other terms, parties would be free to take their responsibilities but would have to live with the consequences if they are too optimistic. Could a parallel be made with a right holder who may enforce a preliminary ruling at its own risks? CASE REFERENCE: Cour de cassation, ch. com., January 9, 2019, Shaf v. Plicosa France, appeal No. 17-18350. Every profession has its own telltale expressions. Let’s say you meet someone at an event who tells you that they will have some cheese “and/or” a glass of red wine; I would bet that you are talking to a patent attorney. Well, especially so if the event is hosted by the CNCPI. But, as fond as we may be of the “and/or” language, in some occasions it can come back to haunt us. Just ask Nice. Not the city, but an Italian company specialized in automatic doors or gates. Nice owns European patent No. EP 1509823 directed to an electrical system for controlling a gate or door. In 2010, Nice filed a complaint for infringement of this patent against FAAC France and FAAC Nord in front of the Paris Tribunal de grande instance (TGI). There are three independent claims 1 to 3 in the patent, the others being dependent claims. Nice initially asserted claims 3 to 23. The two other independent claims 1 and 2 were not at stake. The defendants counterclaimed for nullity. The following year, as the first instance lawsuit was ongoing, a request for central limitation was filed at the EPO. As a result, a limited version of the patent (B3-1) was published in 2012. Nevertheless, all asserted claims were held invalid by the Paris TGI in its 2014 judgment. Sadly, the decision does not seem to be readily available online, so I am not sure what ground for nullity was entertained by the first instance court. Nice appealed and filed a second request for central limitation at the EPO in 2015. As a result, a second limited version of the patent (B3-2) was published in 2016. This leads us to the recent judgment of the Paris Cour d’appel, which confirmed the invalidity of all asserted claims and in particular independent claim 3. The court held that the subject-matter of the claim extended beyond the contents of the application as filed and that the scope of protection had been extended after grant. Who needs an automatic door control system when you can have a frog do the job. 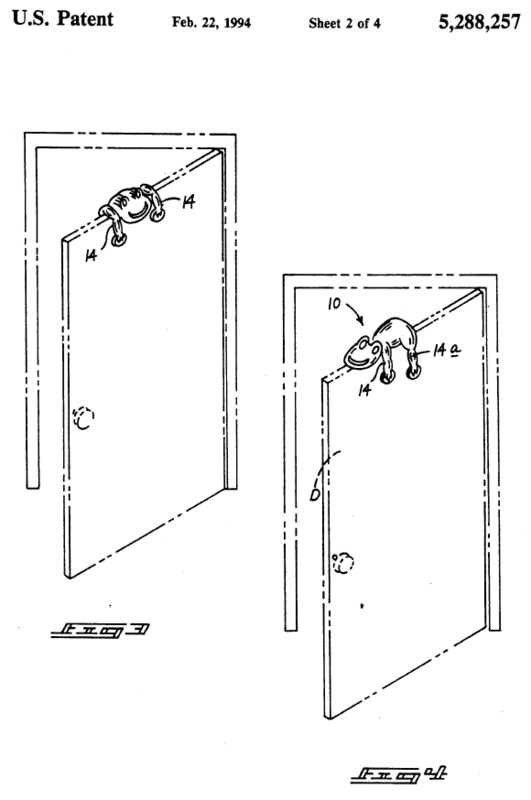 wherein a peripheral unit is adapted to be electrically connected to an electric motor for controlling operation thereof and/or to a device for entering requests of movement of the gate or door or similar element and/or to a safety device for gates or doors or similar elements. The two last paragraphs of the claim are the important ones for the rest of the discussion. Note the four occurrences of “and/or“. Let’s turn to the appraisal of extension of subject-matter of the final version of the patent, namely B3-2. “And/or” is usually taken to mean either “and”, or an exclusive “or”. So, at first sight, one could think that claim 3 in B3-2 was obtained by simply deleting some options from original claim 3, without giving rise to any added matter concern. And one would be wrong, at least according to the Cour d’appel. Indeed, the court did not simply rely on original claim 3 but turned to the description of the application in order to understand what the subject-matter of the invention, or more specifically of the “third embodiment” of the invention (corresponding to claim 3), actually is about. The invention relates to the use of an electric network made of only two electric wires for the entire system, which are designed so as to deliver DC current and numerical information, and so as not to impose constraints on the connection between system equipment and the network. – a safety device (for example based on a photoelectric cell). 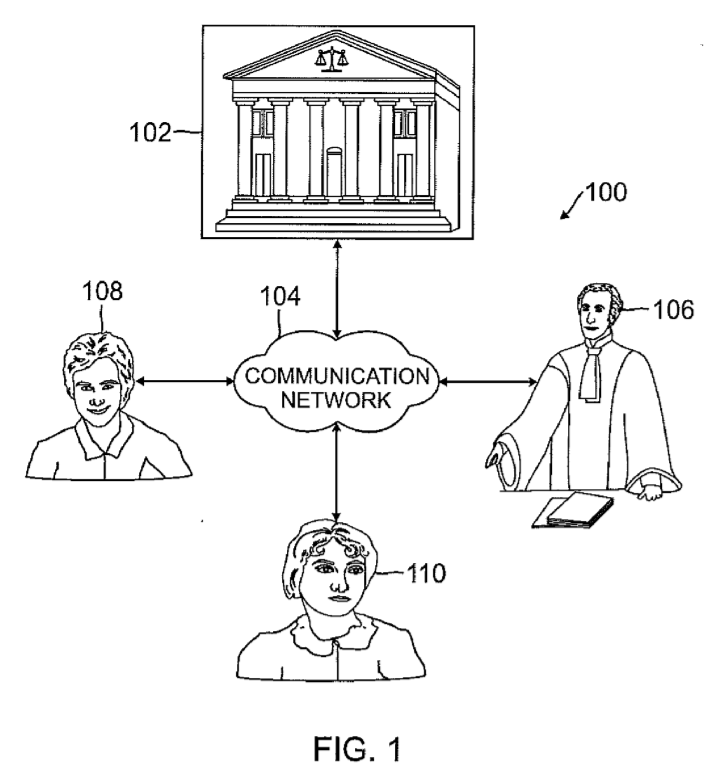 According to the court, claim 3 as filed (or as granted) thus required the presence of all three devices – although they could be connected either to the central unit or a peripheral unit. This was not explicitly stated in claim 3, but the court held that this could be inferred from the description. Such an electrical control system must be connected to at least three essential devices: an electric motor for moving the gate, a device for entering requests of movement of the gate (for example a key-operated selector, a command keypad, a remote control receiver, etc. ), a safety device (for example a photocell system, a sensitive edges system, a mat presence detector, a radar presence detector, etc.). In other words, according to this third embodiment, two of the essential devices are connected electrically directly to the central unit, while the third essential device is connected electrically to a peripheral unit. Therefore, according to the amended claim, the device for entering requests of movement can be omitted altogether. This, the court said, is not supported by the application as filed. Nice argued that, if the claimed peripheral unit is connected to a safety device, then the device for entering requests will be connected to yet another peripheral unit so that the system can work. But the court discarded the argument and said it was an inventive step-type of argument. Thus, the court declared that the subject-matter of claim 3 extended beyond the content of the application as filed. Furthermore, since the granted patent was similar to the application as filed and was thus interpreted by the court as not covering the option wherein the device for entering requests is absent from the system, the B3-2 limited patent was also found to suffer from extension of the scope of protection, since this limited patent no longer required the presence of the device for entering requests. Once again, we are reminded that French courts have a tendency to extensively interpret claims (not just granted claims, but also original claims) in the light of the description. How would the extension attack have flown with an opposition division at the EPO? I am quite sure that they would have focused more on the exact language used in original claim 3. That said, they could theoretically have reached the same conclusion as the French judges, for instance by noting that going from original claim 3 to amended claim 3 required multiple selections in the “and/or” options, and that there was no pointer to such a multiple selection (or combination of features). In summary, “and/or” is nice and broad, but beware of what the teaching of the invention actually is. CASE REFERENCE: Cour d’appel de Paris, pôle 5 chambre 2, November 9, 2018, Nice v. FAAC France, RG No. 16/11888. This is the second part of my interview of Ms. Marie-Christine Courboulay, former judge at the Paris Tribunal de grande instance (TGI), in charge of IP matters and especially patent litigation. The first part of the interview can be found here. In today’s part, Ms. Courboulay reflects on the strengths and weaknesses of the French judicial system. She explains how French judges interact with their foreign counterparts, and tells us about the role of case law – French case law, foreign case law, and most interestingly EPO case law, as the rift between the approach of the Boards of appeal and the approach of French courts has not really been reduced over the past few years. The interview would not be complete without some words on the UPC, and you will see that Ms. Courboulay is very optimistic regarding the attractiveness of the Paris local division of the court. Again, a big thank-you to Ms. Courboulay for sharing her views on this blog. What do you see as the main strengths and weaknesses of the French judicial system, particularly regarding patents, compared to our European neighbors? In the case of provisional measures, an adversarial decision can be issued in an extremely short amount of time, namely within a few days: for example summons may be authorized by a judge on Monday, the oral argument may be heard on Wednesday, and the decision issued on Friday. This is perfectly compliant with the standard set by the CJEU, which intends to favor the adversarial principle even at this stage. Infringement seizure, which provides evidence of alleged infringement through an ex parte request. It should be mentioned that this is the only ex parte order for which the judge does not have to justify the reasons why the adversarial principle does not apply. Judgments on the merits that are now issued within a timeframe which is comparable to those of other European courts which base their decisions on continental law and not on common law, and which rule both on the validity of the patent and on infringement, since there is no bifurcation in French law. A single court (the Paris TGI and the Paris Cour d’appel) which therefore concentrates the entire litigation, so that the judges handle many patents and develop their expertise. As for the weaknesses: the main one is the judges’ turnover, and sometimes their level of English proficiency. Do French IP judges have regular exchanges with their counterparts in other European countries? What do they get out of these exchanges? Do they strive for harmonization with the practice of neighboring countries? If so, what are the limits of this desire for harmonization? French judges have regular exchanges with their European and even American colleagues at European or international conferences, but also at workshops organized by the EPO or by the EUIPO on trademarks and designs. These exchanges are important because they make it possible to understand how the same text (when it is a regulation) can be interpreted differently from one country to the next, to understand nuances or consequences evaluated one way or another, and why certain specificities are preserved, when a directive is transposed. These exchanges make it possible to learn about solutions found by other judges based on a same text and / or a same case, and to discuss future developments or modifications to be considered in the different areas of IP. There is indeed a desire to harmonize IP case law; it is mandatory in the trademark and design area, and by extension, it is sought in the patent area as well, even if this not legally required. This is less true of copyright, except in the case of private copying, which has been the subject of numerous decisions by the CJEU. However, the decisions of the CJEU which are meant to ensure harmonization are read by all European judges and should also lead to harmonization, including for example concerning SPCs or FRAND licensing. There is one limit which is the applicable national law, when there is a difference between a directive and its transposition law. For instance, regarding infringement, the notion of good or bad faith was not incorporated into the French statute, whereas it exists in other European countries, where a bona fide infringer and a pirate are not handled in the same manner. The French judge cannot make any prima facie difference based on the notion of good faith, which should not be taken into account when it comes to infringement. On the other hand, French judges, due to the harmonization desire, and after discussing with other European judges who regretted an excessive difference relative to other national rights, introduced the requirement for the person who requests an infringement seizure to provide a reasonably accessible beginning of proof. This is taken from the non-transposed part of the directive, but the judge may add a criterion for assessing the grant of the order, i.e. a condition which preserves equal rights before the court dealing with the merits, and which especially preserves the rights of the alleged infringer. If the Code de la propriété intellectuelle provides that the infringement seizure is a right, it should be borne in mind that there is no absolute right, that this right is subject to the appreciation of a judge who must in his/her decision weigh the grounds on which the request is based, and those which could lead him/her to refuse the infringement seizure or to limit it in its scope. This is in view of a concern, acknowledged by the CJEU, of proportionality of the rights of litigants, which must more particularly be taken into account in ex parte proceedings that lead to a particularly intrusive measure before any judgment. In the context of multinational patent litigation, how important are foreign decisions in the eyes of French judges? I know that there was a time when French magistrates said that they were not bound by foreign decisions, and that they did not even read them. If it is true that we are not bound by the decision of a court of another member state in the procedural sense of the term. But, when a decision is issued in the same litigation by a foreign court and it is submitted to the court, it is part of the file wrapper. Decisions are read and analyzed, first to ensure that they indeed relate to the same dispute, and especially that the arguments under discussion are the same, which is not always the case. Second, if the grounds relied on are the same in the dispute between the same parties, the decision will be very carefully read to understand and analyze the reasoning followed by the foreign court, because in general the same causes lead to the same legal grounds, which lead to the same consequences. I would say that the judge will determine whether he/she is convinced by the reasoning of his/her colleague. At any rate, as far as I am concerned, these decisions are of a special importance, which is greater than that of a legal opinion for example, even if I also pay close attention to such opinions. Or we can find food for thought in other decisions, and we can take a hold of criteria developed by another court or another office to assess the validity of an SPC for example, if these criteria appear to be relevant. I would add that in case of a disagreement with the foreign court, it will be necessary to try to provide an even clearer and more precise reasoning, so that the parties can understand and follow the reasoning proposed by the French judges. In fact, there may be disagreements of analysis and interpretation with foreign colleagues which are similar to those which may exist with French colleagues. How is the case law developed by the EPO boards of appeal on the validity of patents considered by French judges? In particular, French courts have sometimes explicitly discarded some decisions of the EPO’s Enlarged board of appeal (for example on computer programs, or on claims to dosage regimens). Some observers were surprised at such differences in practice between Munich and Paris, which do not seem to be found to the same extent in other European countries. Is there a French distinctive identity in this respect? The case law of the boards of appeal and of the Enlarged board of appeal are known to the 3rd chamber and to the Cour de Cassation, that expressly referred to it in its judgment of December 6, 2017. But they come from an office and not from a court; they do not have the same value for French judges as judgments from another court. The other point is that the boards of appeal of the EPO have a tendency to interpret the texts on which they base their decisions in an extremely extensive manner. They try to grant patents (which is their primary objective and the source of their financing) even when the conditions are not met. This is the reason why the European Commission has taken up the subject in the broccoli cases, or why the Paris Cour d’appel has referred a preliminary question to the CJEU as to whether a new molecule already known for an already known treatment could be considered as a second therapeutic application. Lastly, German judges who are presented with an action for nullity of a patent must stay the proceedings as long as the decision by the EPO on the patent is final, which is not our case. This difference necessarily affects the influence of EPO decisions on French courts, as they will validate or revoke a patent without waiting for the EPO decision, when the patent is still under opposition. So, I do not know if French judges are more reluctant than others to follow the decisions of the EPO boards of appeal, but they are in any case cautious about how they should be analyzed. The French legal tradition differs from common law, which is centered on precedent. Apart from the main judgments of the Cour de cassation, do you think that there is a French patent case law which courts strive to follow? Or do the judgments of the TGI and of the Cour d’appel only represent specific decisions without any general influence on judges in other cases? Mention can be made for example of the different approaches which have recently been noted between the Paris TGI and Cour d’appel concerning the application of the statute of limitations to patent nullity suits. There is no need for a tradition of precedent to create a consistent case law that attempts to develop a set of universally understandable enforcement rules. In France, the Cour de cassation carries out the necessary harmonization between the different courts and thus indicates the direction that future decisions will have to follow. While of course each judgment is a case in point, it is clear that case law reveals major trends and defines interpretations of the legal bases proposed by the parties in their submissions. Concerning the statute of limitations, the first instance court has proposed an interpretation of the rule which has not been followed by the Cour d’appel and it will be up to the Cour de cassation to provide the interpretative framework that the courts will have to follow. So, as always, the rule and its interpretation will be general and elaborated by the Cour de cassation or the CJEU, which also provides an interpretative framework or “instructions for use” of a law, and which leaves it to national courts to apply the rule thus interpreted to the case at hand. In your opinion, does patent law in its current state offer a satisfactory balance between the interests of right holders and third parties? Do you wish for some legislative changes, either in terms of substantive or procedural law? I would say that there is a certain balance between right holders and third-party competitors as long as patents are not granted too loosely, and as long as they reward investments actually made for research and innovation by a 20-year monopoly, as the CJEU always reminds us. That’s why I’m not at all in favor of theories per which patents may have other purposes than the reward of an invention, notably a communication to the public when a particular product is advertised as being patented. To me, this benefit is a form of lie, when it is not based on a real invention (so-called blocking patents that distort competition) and that is why I am in favor of a real examination of French patents by the INPI (with the human and financial resources that should go with it as I said above). Turning to consumers who are also third parties, I would like the concept of public interest, particularly in the area of ​​medicines, to be more fully taken into account and even integrated into the statute. This public interest concern is in line with the senators’ concern, as they have debated the notion of “essential drugs”, and have taken interest in drug shortages, or in new therapies that are burdened by an exceedingly high price. The same considerations apply to standard essential patents and the resulting consequences on the market, the price of IT products, the monopolies thus created and the extra cost to the consumer. This is the field of so-called FRAND licenses and the necessary balance that must be achieved between licensees, competitors, start-ups and consumers. You have been involved in extensive preparatory work regarding the unified patent court. If this court does come into force soon, which position do you think French courts will have in the future? I still am involved. I think that if the UPC fulfils the objective assigned to it, which is to issue decisions on infringement and validity of unified and European patents throughout the members states of the European Union that have ratified the Agreement, within an extremely short timeframe (one year), then, after the 7-year transition period during which there will be shared jurisdiction over European patents between the UPC and national courts, national courts will then only have to deal with national patents. On the other hand, the Paris local division should be able to attract a larger share of the European patent litigation than the one currently handled by the 3rd chamber because it will be possible to plead in the three languages ​​of the European patent. Two French judges will be part of the three-judge panel, and the proximity of the central division will have a great attractive force in favor of the local division.